Scripts from classic Doctor Who stories featuring William Hartnell’s and Tom Baker’s Doctors are set to go to auction. Welsh auction house Rogers Jones & Co is offering a set of rare scripts from the Fourth Doctor adventure Shada, written by Douglas Adams. Shada was intended to be the last story of the show’s seventeenth series, but studio filming of the 1979 episodes was ultimately abandoned due to industrial action at the BBC. 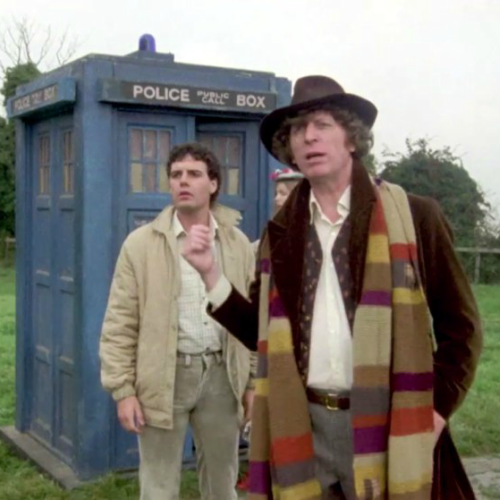 Last year saw the release of a completed version of Shada, featuring the original footage combined with new animated sequences and a specially-filmed cameo from Tom Baker as the Fourth Doctor. 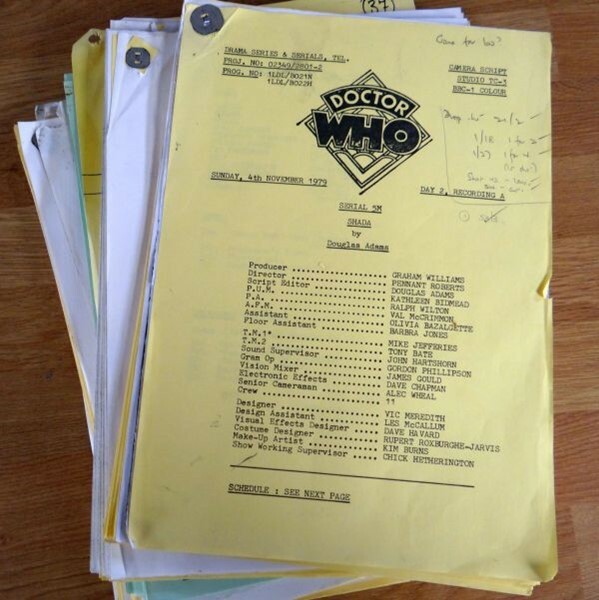 The scripts, which have an estimated sale price of £200-£400, are inscribed in pencil with notes from the episodes’ credited director, the late Pennant Roberts. His widow, Betsan Roberts, has donated the scripts to the auction on behalf of the charity Shelter Cymru, which works to help those experiencing homelessness and housing difficulties across Wales. The lot of scripts is now set to go to auction on Tuesday 6th March at Cardiff Saleroom, South Wales, after the auction was postponed from its original date of Friday 2nd March due to poor weather conditions. Up for auction later in the year, meanwhile, is an original script from the show’s very first episode, An Unearthly Child, previously owned by none other than the First Doctor himself, William Hartnell. The 43-page script, which features the late actor’s annotations in blue pencil, was discovered by the vendor’s grandfather, a builder who renovated Hartnell’s East Sussex flat. The script was featured on a special entertainment edition of the BBC’s Antiques Roadshow last year, with antiques expert Chris Yeo describing it as ‘the DNA of Doctor Who‘. The script is offered for auction by Aston’s Auctioneers & Valuers of Dudley, West Midlands, at the impressive guide price of £5000-£8000, reflecting the lot’s notable provenance and place in Doctor Who history. It will be sold as part of the auction house’s ‘Film & Music Memorabilia & Comics’ auction on Thursday 3rd May.